Mark Volk Realty & Auction - Volk Christian MinistriesCHECK OUT SOME OF MARK'S RECENT LIVE WORSHIP VIDEOS:https://www.youtube.com/user/markvolk765/videos?view=0&shelf_id=0&sort=dd﻿ Chaplain Mark Volk BIBLE VERSE OF THE WEEK:ACTS 10:34Then Peter opened his mouth, and said, Of a truth I perceive that God is no respecter of persons. 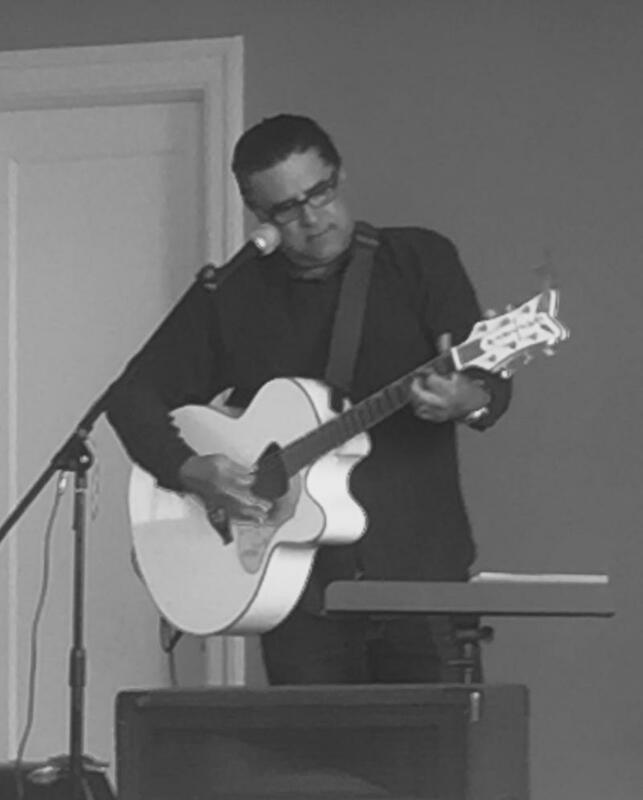 Chaplain Mark is an Ordained Outreach and Music Minister --and Evangelist with the blessed ability to lead Worship with his Inspired voice and acoustic guitar! HAVE QUESTIONS ABOUT JESUS? NEED PRAYER? Call Chaplain Mark @ 765.713,9700MARK with his wife, CATHY Mark is a Jail Chaplain and Ordained Minister and Loves the Old Hymns and Gospel-but isn't shy in incorporating Modern Worship Songs and Spirituals as well! Blending Old with New - Something for All Ages and Musical Tastes! Then Peter opened his mouth, and said, Of a truth I perceive that God is no respecter of persons. 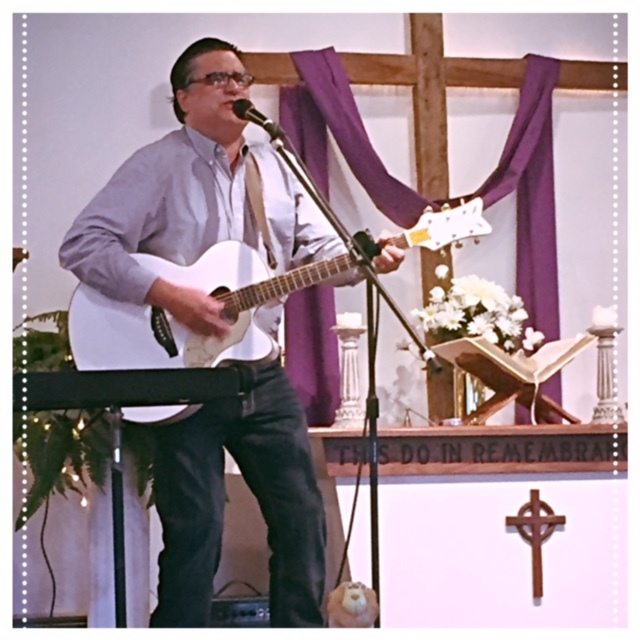 Chaplain Mark is an Ordained Outreach and Music Minister --and Evangelist with the blessed ability to lead Worship with his Inspired voice and acoustic guitar! Mark is a Jail Chaplain and Ordained Minister and Loves the Old Hymns and Gospel-but isn't shy in incorporating Modern Worship Songs and Spirituals as well! Blending Old with New - Something for All Ages and Musical Tastes! 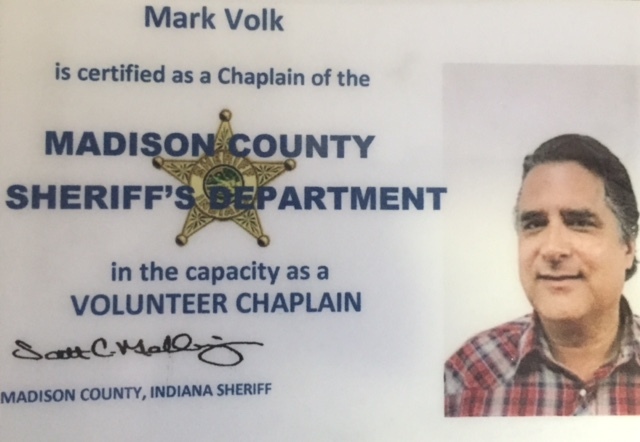 Mark is Blessed to be a Volunteer Chaplain for the Madison County Sheriff's Department and is a Sheriff's Chaplaincy Conference Member! 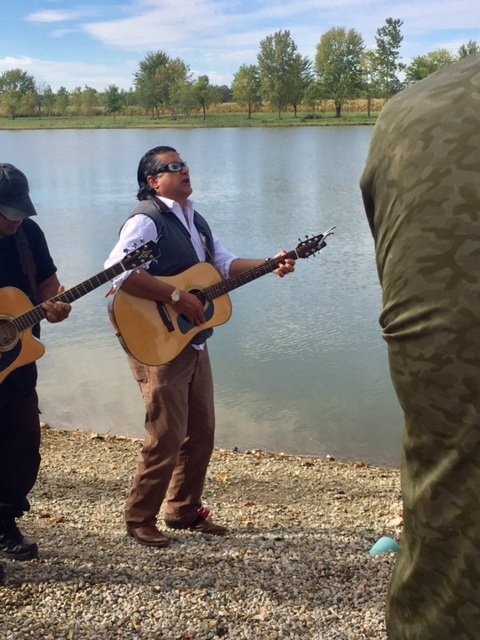 Mark Sings and Plays Worship Every Thursday at the Triple C Correctional Complex (affectionately known as the "Heart Break Ridge New Hope Road Church") ---now that is a Rockin' Holy Spirit Filled Church! 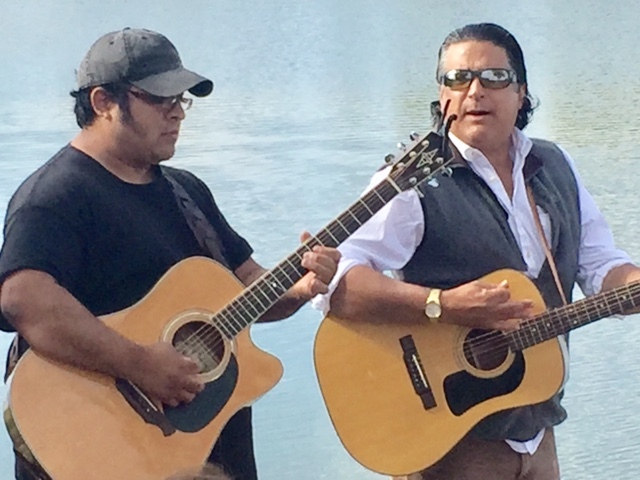 Volk Christian Ministries-Music to Inspire! Is your Christian Congregation looking for an Inspiring Message and Special Music or is your Church planning a Revival? Chaplain Mark's Goal is a Simple yet Humble One--To Inspire through Music and Preaching The Gospel--and bring the Unsaved/Lost to a knowledge of Salvation through Our Lord and Savior-JESUS CHRIST! Call or Text Mark at 765-713-9700 for Details!